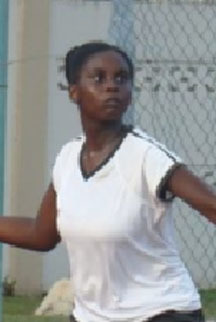 The just concluded Guyana Bank for Trade and Industry Open lawn tennis tournament has emerged as the premier tennis tournament that creates new standards for tennis performance in Guyana. 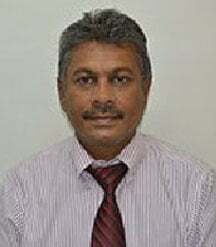 So says President of the Guyana Tennis Association (GTA) Ramesh Seebarran in a press release. 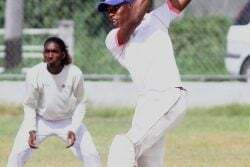 “It is tournaments such as these that are necessary to provide opportunities for advanced players to display their skills but also to attract new players to the sport,” Seebarran declared in the release. This year, Jonathan Christie of Texas, United States of America, who is visiting for the holidays, won the junior boys category by defeating Seanden David-Longe 6-3, 6-4 while in the junior girls category, his sister Ronisha Christie was no match for the rising star Afruica Gentle who easily copped the junior girls crown by winning her round robin matches against Christie 6-1, 6-2, Jamaali Homer 6-4, 7-5 and Tanya Niamatali 6-3, 3-0(ret). 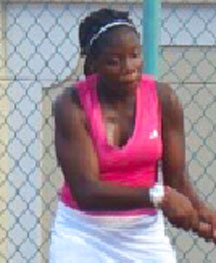 The Christies who are top ranked in Texas were pleasantly surprised at the level of tennis in Guyana. Other top juniors such as Gavin Lewis, Daniel Lopes and Nicola Ramdyhan had outstanding performances as they continue their quest to dominate the Open Categories. The Lewis/Lopes combo lost the men’s doubles final against the hard hitting Anthony Downes/Jason Andrews 6-2,6-3. The Lewis/Ramdyhan combo also lost the Mixed Doubles Finals against top seeded Leyland Leacock/Shelly Daly-Ramdyhan 2-6, 6-3, 6-1. 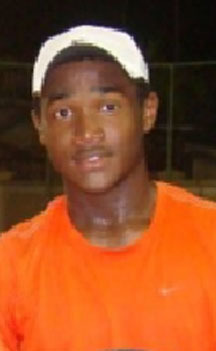 In the men’s singles semis Lewis lost to Leacock 7-5, 6-4. But 14-year-old Nicola Ramdyhan single handedly redeemed the juniors to become one of the youngest to clinch the coveted title of ladies singles champion against the Berbician veteran Carol Humphrey 7-5, 6-3. 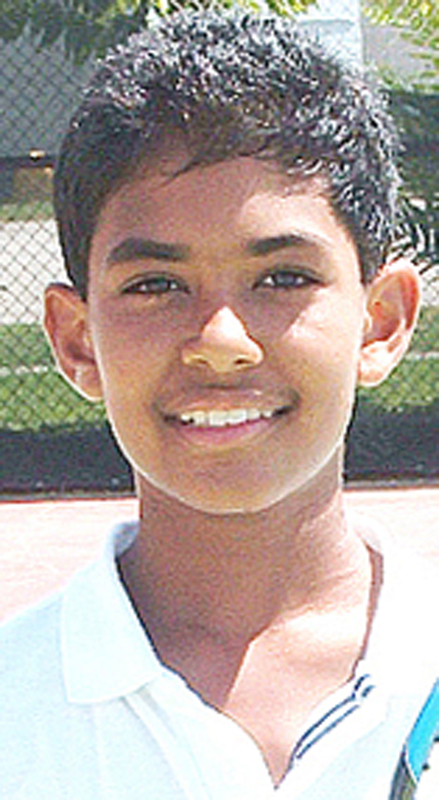 Seebarran in the release stated that as the GTA struggles to cope with the high cost of travel for junior players to gain experience in regional tournaments, the association was pleading for more local courts to be built of a high standard such as the ones at GBTI to attract regional players for competitions locally. 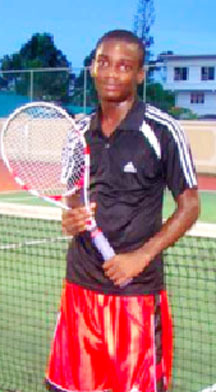 “Tennis in Guyana has reached the point where international tournaments are required to catapult the sport to new heights. 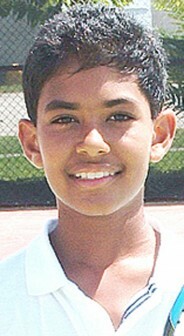 Players are now performing better in the main draw of the regional tournaments,” the GTA release stated. In April this year, Gentle won the Antigua U12 International tournament. 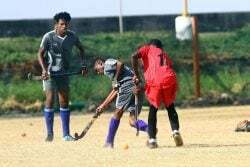 “We will only know the true potential of our young players when we provide facilities, training and competition of the standard that truly propels their ability,” Seebarran added. He urged the local tennis coaches to work harder at their clubs to setup junior programmes and to encourage new players as more players breed more competition and more competition breed better players. The tournament’s closing ceremony is scheduled for today from 6pm at the GBTI Recreational Centre. All players and officials are required to attend.